So come and join the past with us! NOTE: We have temporarily suspended publication of the magazine. We'll be sure to let you know when it is published again. Join us for free by clicking here to stay up-to-date. Our interactive digital magazine, History is Now, has arrived! We love it and we're sure you will too. 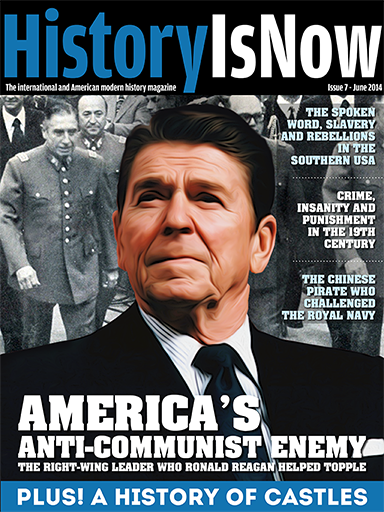 History is Now magazine brings you some of the best articles on topics in International and American Modern History. The focus of the magazine is on the 19th century, 20th century, Colonialism, Communism, and civil war. This selection of topics allows us to bring you great writing from a range of people who have a deep knowledge and passion for modern history. In addition, each magazine will feature a history audio podcast, as well as other interactive content, such as videos and links to even more great history articles. We just hope you enjoy reading the magazine as much as we enjoy creating it! Remember! You must have an iPad, iPhone or iPod touch to get the magazine. And if you don't have one, this is surely your perfect excuse! Click here to go to the iOS/Apple app information page! Click here to go to the Android app information page! Alternatively, go to the Android or Apple/iOS app store and type 'History is Now' into the search box. Happy reading! Click the links below to find out about the latest issues!